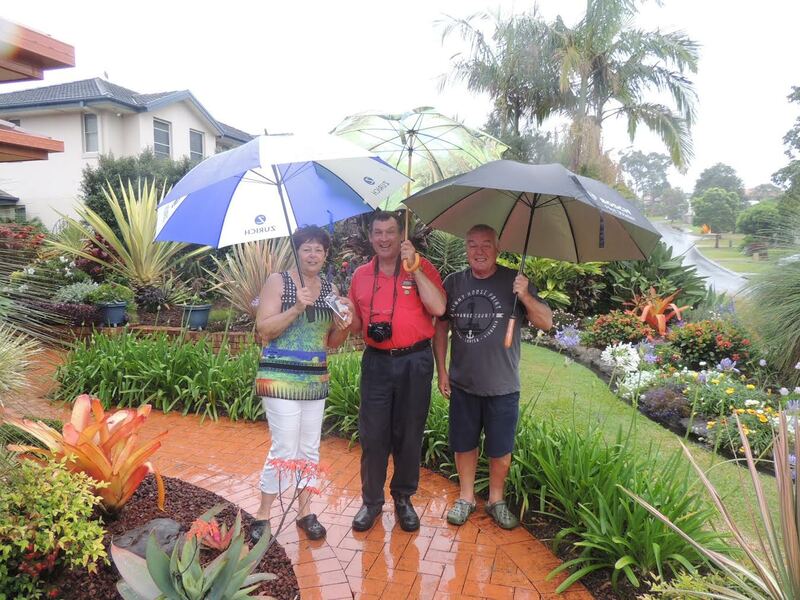 Melbourne Cup Day here in Coffs was a little damp - great for our gardens to freshen things up a bit however not the most ideal day for wandering around gardens. This day saw three CHGC member gardens host a visit from the Killabakh Garden Club (see link for their website). 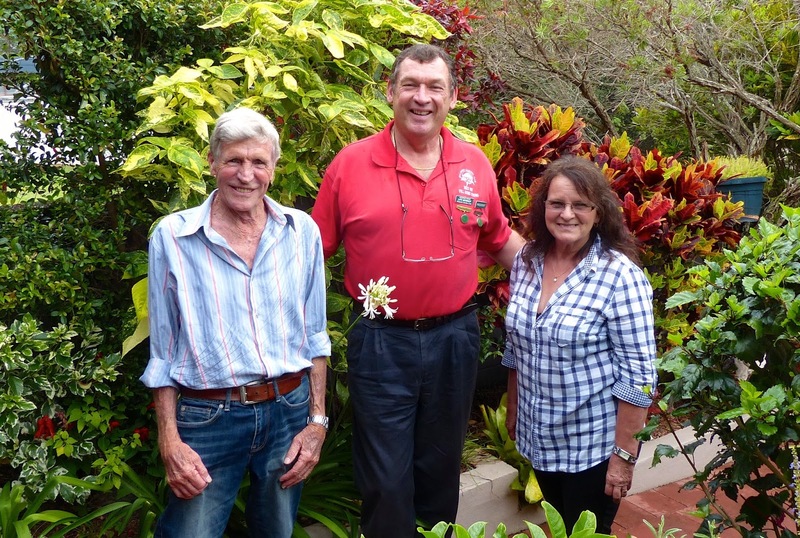 The Killabakh GC folk were travelling north to visit the Jacaranda Festival and wanted to visit some gardens along their journey. The travelling party did have a little glitch in that there was a bus breakdown however, they still had time to visit the Tarry, Tozer & Durler gardens........ with the rain getting heavier as they progressed! Not to be deterred, the members from Killabakh (which is north west of Coopernook) put up their brollies and enjoyed their visit to the three gardens. The last garden visited was the Durler garden which is a vast semi-rural block north of Coffs at Moonee Beach, where the rain had got a little more intense. These happy travellers saw a wonderful cross section of gardens of the Coffs Coast and President George Hoad thanked each gardener(s) for opening their gardens for the visit. George Hoad is the President of Garden Clubs of Australia and it was great to see him again and look forward to catching up with him and other North Coast Garden Club members at the Zone Day, South West Rocks in August 2016.